We choose to supply/install the Australian owned Apricus Evacuated Tube Solar Hot Water System. This highly regarded system is renowned for its superior performance and industry leading warranties. 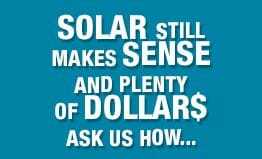 Adtech Eco is the most experienced and reputable solar hot water specialist in Newcastle and surrounds.